Personal Support Specialist certification. 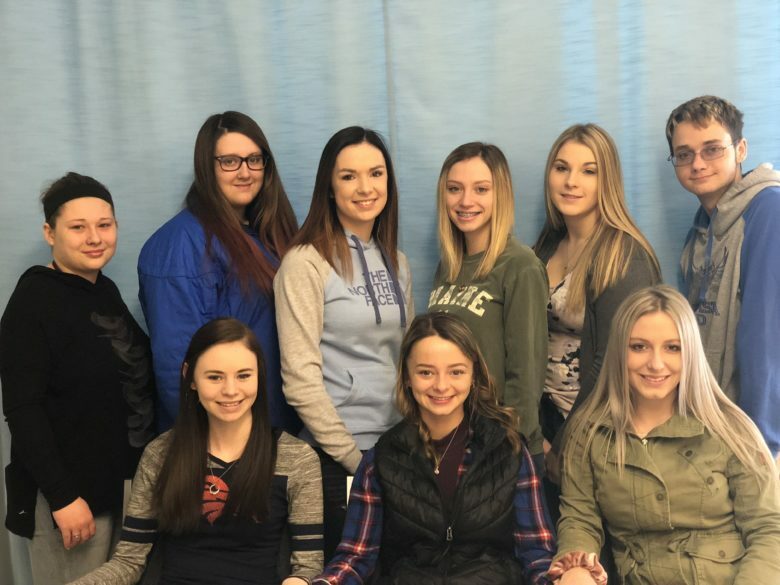 All of these nine students have been accepted at University of Maine Fort Kent (UMFK) two into the Allied Health Program and the other seven into the Nursing BSN program. Eight of these young ladies are working in area facilities as Certified Nursing Assistants and are determined to become nurses. Austin has also been accepted at Eastern Maine Community College where he plans to follow his dream to become a radiographer.